The 2014 edition of the international protest related to the wasteful use of public land for automobile parking took place this past Friday. 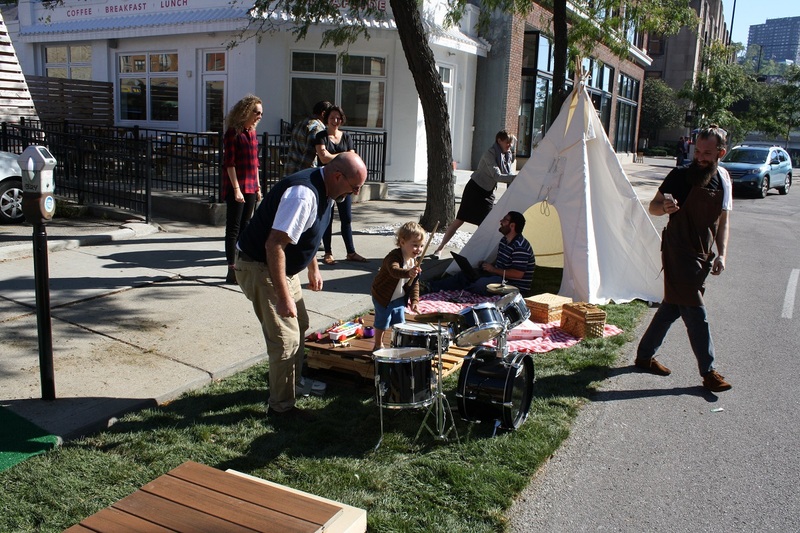 PARK(ing) Day, as it is known, took place in hundreds of cities across the globe, including Cincinnati. As with past years, the majority of Cincinnati’s parking spaces turned temporary parks or hangouts were concentrated in the center city. Perhaps the most prominent installations were in Over-the-Rhine and across the river in Covington. EDITORIAL NOTE: All 22 photos were taken by Travis Estell and Bradley Cooper for UrbanCincy on Friday, September 19. Next articleAre area governments ready to embrace new technologies?